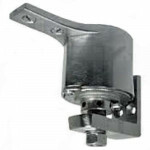 HSBB-4900 Cal-Royal Hinge, Half Surface 2 Ball Bearing 4 1/2"
HSBB-4900 Cal-Royal Hinge, Half Surface 2 Ball Bearing Standard Weight 4 1/2"Priced Individually, mu..
SB-BB-31 Cal-Royal Hinge Full Mortise, 2 Ball Bearing 4 1/2" X 4 1/2"
SB-BB-31 Cal-Royal Hinge Solid Brass, Full Mortise, 2 Ball Bearing, 4 1/2" X 4 1/2" Standard Weight,..
7112 Bommer Spring Pivot, Surface Mount, Adjustable Spring TensionBommer Spring Pivot InformationCas..
7812 Bommer Medium Duty Center Hung Spring Pivot for use with Doors up to 90 lbs with Jamb Bracket, ..
3029-3” Bommer Double Acting Spring Hinge,180 degree opening	Bommer 3029 InformationDescription:Door..
3029-4” Bommer Double Acting Spring Hinge, 180 degree opening Bommer 3029 Information Descriptio..
3029-5” Bommer Double Acting Spring Hinge, 180 degree openingBommer 3029 InformationDescription:Door..
Bommer 3029-6” is a Double Acting Spring Hinge. 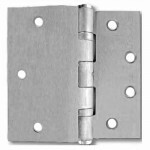 180 degree opening	Link to Spec. 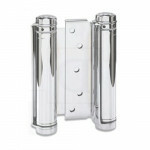 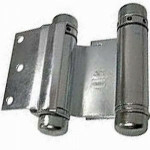 Drawing	Bommer 3029..
Bommer 3029-7” Double Acting Spring Hinge. 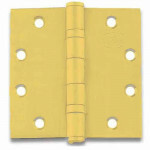 180 degree opening	Link to Spec. 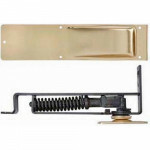 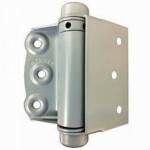 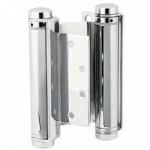 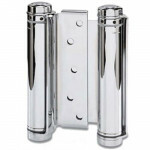 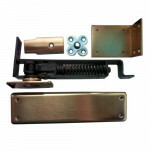 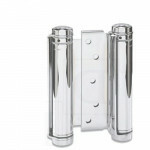 Drawing	Bommer 3029 Info..
3029-8" Bommer Double Acting Spring Hinge, Mortise or Surface MountBommer 3029-8 Information	DOOR FL..
3023-3" Bommer Spring Hinge Double Acting Half SurfaceDoor Flange is Surface Mounted to Face of Door..
7012 Bommer Spring Pivot Surface Mount Non-AdjustableBommer Spring Pivot InformationCast Steel Base ..
Bommer 3029-6” x 4.5” Double Acting Spring Hinge. 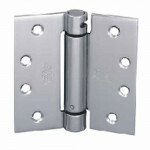 180 degree opening	Link to Spec. 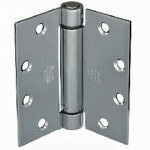 Drawing	Descripti..
3029-8" x 4.5” Bommer Double Acting Spring Hinge. 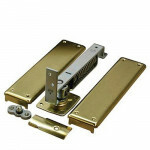 180 degree opening	Link to Spec. 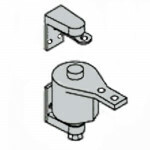 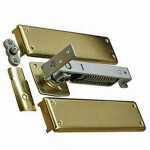 Drawing	Bommer Sp..
LB4310C Bommer Single Acting Spring Hinge, Full Mortise	Bommer LB4300C Information	Hinge Size &..
7801 Bommer Spring Pivot Horizontal Type, With floor Plate, Light Duty Model	Bommer 7800 Series Info..
2200 Bommer Screen Door Spring Hinge Half Surface MountingMade in USAType: Half SurfaceMaterial: Ste..
7821 Bommer Horizontal Spring Hinge Adjustable w/Floor Plate, Hold-OpenBommer Spring Hinge Informati..
7811 Bommer Medium Duty Center Hung Spring Pivot for use with Doors up to 90 lbs with Floor Plate Ho..
LB4310C-350 Bommer Spring Hinge Single Acting 3 1/2" X 3 1/2" SteelHinge Size: 3 1/2" X 3 1/2"Full M..